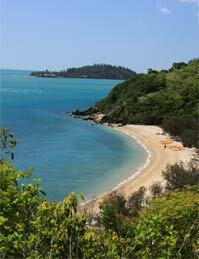 Enjoy a great day sea kayaking the Whitsunday Islands with an experienced guide and a small group of paddlers. Kayaking directly from our waterfront base at Shute Harbour, paddlers wind their way through the inner islands before heading out to nearby White Rock. Time is spent here relaxing and swimming before crossing to South Molle Island. The waters off the Molle Islands are home to sea turtles, dolphins, soaring sea eagles and a myriad of colourful tropical fish. The migrating humpback whales can be spotted when they frequent the area between July and September. There is time to trek part of the Mount Jeffries Walking Track, lined with ancient grass trees which attract many varieties of butterflies. 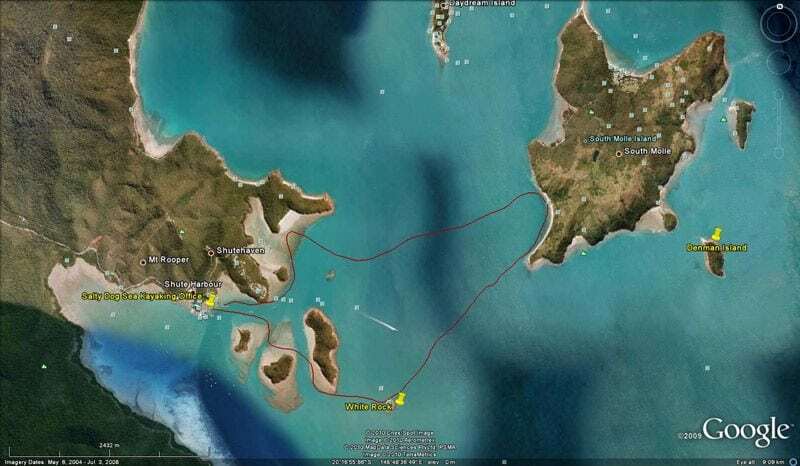 The walk boasts panoramic views across the Whitsunday Islands, the vast Conway State Forest plus Sandy Bay and Shute Harbour. If conditions are favourable, there may be an opportunity to snorkel the fringing coral reef accessed directly from the beach. A mouth-watering beach-based buffet lunch is provided before kayaking back to Shute Harbour in the afternoon. This tour provides a more in-depth introduction to the islands giving participants the opportunity to gain a more intimate connection with this magical part of the world. Tour runs June to the end of September. shoes that are fine to get wet (thongs, sandals or deck shoes).